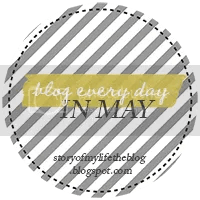 I spotted this idea on Bakingaitch‘s blog and thought it would be a great way of getting some momentum going with my blog. Jenni from Story of my Life has set suggestions for what to post about each day. My blogging dream is to master vegetarian marshmallows – so far one kitchen mixer has losts it’s life in this battle. I enjoy travelling and visiting new places – I have a huge framed antique style National Geographic map in my living room where I put a pin in the countries I have visited. I’m saving up to build a small balcony on the back of my house so I can sit outside with a cup of coffee and enjoy the lovely view. I will probably be 85 before I’ve saved enough to make this dream a reality! I always have loads of projects on the go – at the minute it’s millinery, making a fake fur clutch bag, a jigsaw, a coaching and mentoring qualification and dabbling in card-making. Focusing on blogging for one month is really going to be a challenge for me. I found your link on Helen (@bakingaitch’s) blog! You have my dream job – I once worked for a year in a junior library assistant role and it was my best job to date! I would love to manage to do it again someday!